Will Fletcher made his Olympic debut at Rio 2016 in the lightweight men’s double scull - the boat he helped to qualify for the Games by winning silver at the 2015 World Rowing Championships. Fletcher is a World U23 Championships gold-medallist. 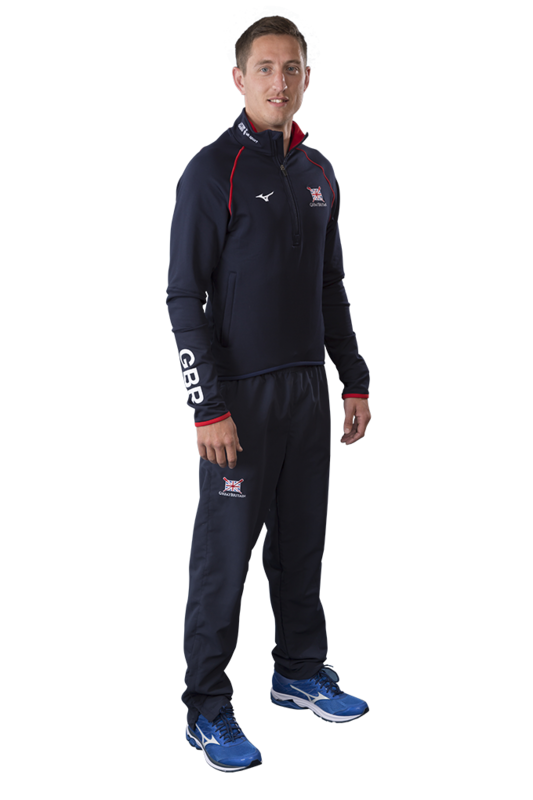 He made his first senior GB Rowing Team appearance in 2011 and firmly established himself in the Olympic-class boats during the Rio Olympiad. Having won medals at the World and European Championships, he will be looking to build on his Olympic experience as the build-up to Tokyo 2020 begins. His 2017 season has started well – he won a gold medal with Peter Chambers in a strong lightweight men’s double sculls event at the opening World Cup in Belgrade, but his season was curtailed by injury after the European Championships in May. 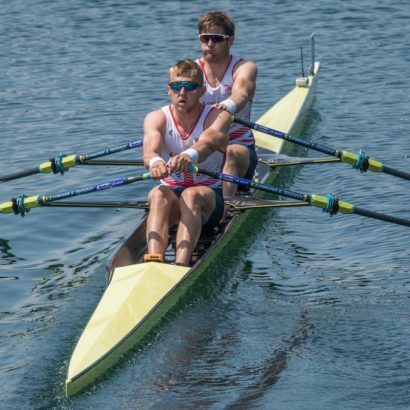 After winning the GB Rowing Team Trials, Fletcher was once again selected to partner Richard Chambers in the lightweight men’s double scull for the 2016 season. An injury to Chambers forced them to miss the European Championships in Brandenburg before the double finished fifth at the World Cups in both Lucerne and Poznan. After finishing as runners-up in their heat at the Rio 2016 Olympic Games, they had to settle for fourth place in their semi-final. However, they finished the regatta on a strong note by winning the B final to place seventh overall. 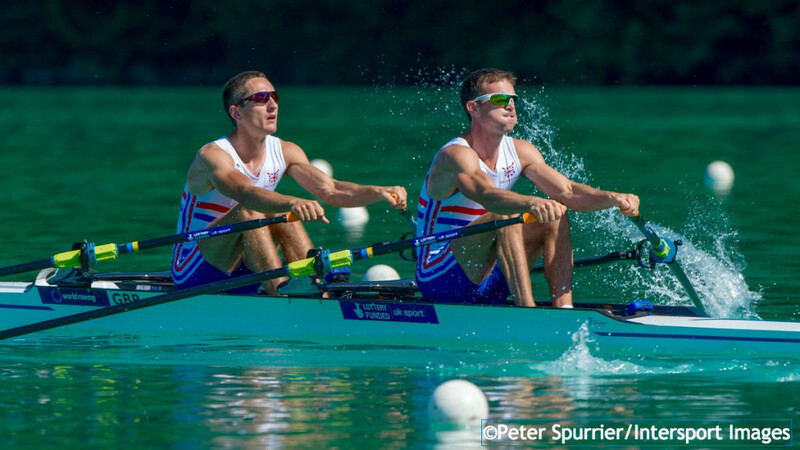 Fletcher and Chambers had enjoyed a highly encouraging debut season together in the lightweight men’s double scull in 2015. They quickly forged a good partnership and won a silver medal at the European Championships in Poznan behind France’s Stany Delayre and Jeremie Azou, who went on to finish the season unbeaten. A bronze medal at the World Cup in Varese was followed by an eventful regatta in Lucerne, where injury forced Fletcher to miss the final. Jono Clegg stepped in for his second final in less than 24 hours and, after a brave effort, the GB duo finished fifth. 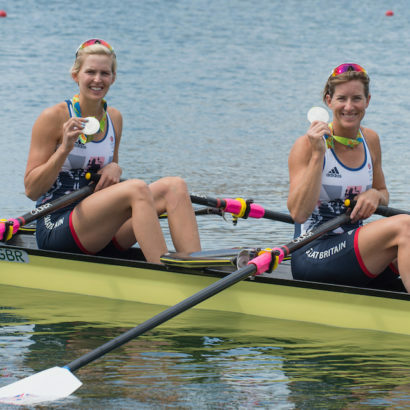 Fletcher and Chambers were back to their best at the World Rowing Championships in Aiguebelette and, in a high quality final featuring the 2013 and 2014 gold medallists, they led the field at halfway. Delayre and Azou then moved clear, spurred on by their home crowd, but the GB double closed in on them at the line to claim silver. 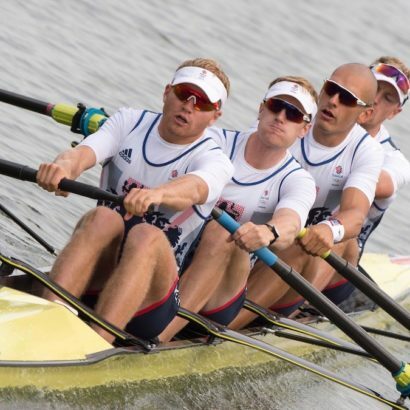 Fletcher had started the Olympiad in the lightweight men’s four with Clegg, Adam Freeman-Pask and Chris Bartley, winning bronze at both the Eton Dorney World Cup and the World Rowing Championships in Chungju. He switched to the lightweight double for 2014, partnering Jamie Kirkwood. After finishing ninth at both the European Championships in Belgrade and World Cup in Aiguebelette, they improved to fifth at the Lucerne World Cup. There was a very strong field at the World Rowing Championships in Amsterdam, where Fletcher and Kirkwood produced a solid performance to win the B final and place seventh overall. Fletcher successfully worked his way through the GB Rowing Team ranks to establish himself in the senior squad. He gained his first international vest in the 2006 GB v France J16 Match, winning gold medal in the men’s four, and followed this with two bronze medals in the same boat at the Coupe de la Jeunesse in 2007. 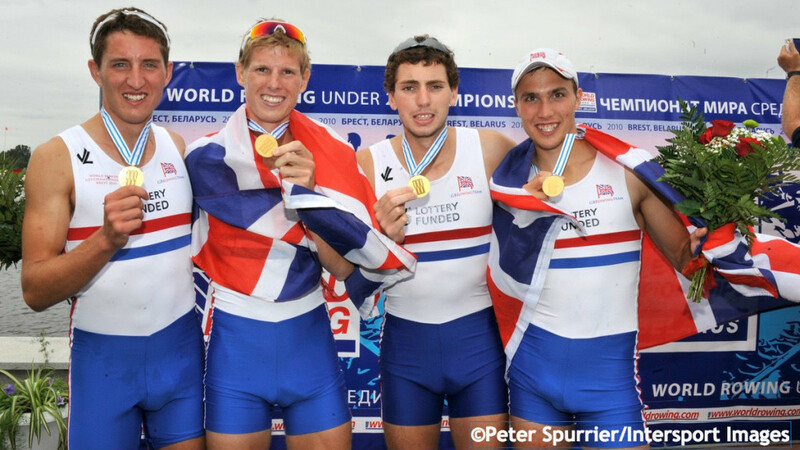 A lightweight men’s quad bronze medal at the 2009 World Rowing U23 Championships was followed 12 months later by gold in the lightweight four alongside Clegg and Kirkwood. All three made their senior GB Rowing Team debuts at the Munich World Cup in 2011, placing 11th overall in the second lightweight men’s four. The same crew went on to finish seventh at the World Rowing U23 Championships in Amsterdam. 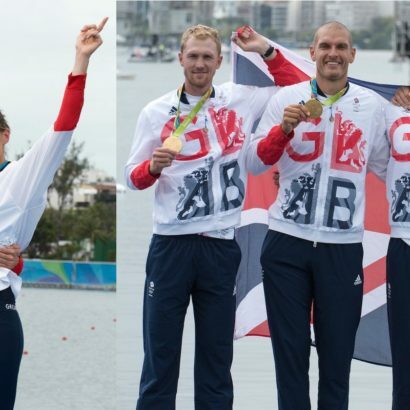 Fletcher and Clegg were also selected in the lightweight four alongside Sam Scrimgeour and Adam Freeman-Pask for the 2012 European Championships in Varese, winning a silver medal. Fletcher took up rowing at Tyne RC having been inspired by his sister Frances, who was an U23 world silver medallist in 2005. He is believed to be the youngest rower to have won at three successive Henley Royal Regattas, after lifted the Wyfold Challenge Cup in 2008, the Prince of Wales Challenge Cup in 2009 and the Visitors Challenge Cup in 2010. During that time, he also completed a modern sports apprenticeship in coaching rowing with Durham University. He continues to work with the DUBC coaching team. Fletcher was an avid footballer – his ideal non-rowing job would be playing for Newcastle United – and was invited for county trials but his current soccer activity is “a few games of Fifa” while relaxing. A football is one of the three things he would take to a desert island, along with Diet Coke and Creme Eggs. Friends is his favourite TV show – “a great laugh no matter how many times you watch it” – and he has a wide range in musical tastes, from Disney classics to remixes by Norwegian DJ Kygo. His ideal dinner-party guests would be Zach Galifianakis, Peter Kay and Mila Kunis, with his perfect post-competition menu comprising “potato skins for starter, chicken korma, pilau rice and poppadoms for mains with Krispy Kreme doughnuts for dessert”. Fletcher is Lottery funded through UK Sport.